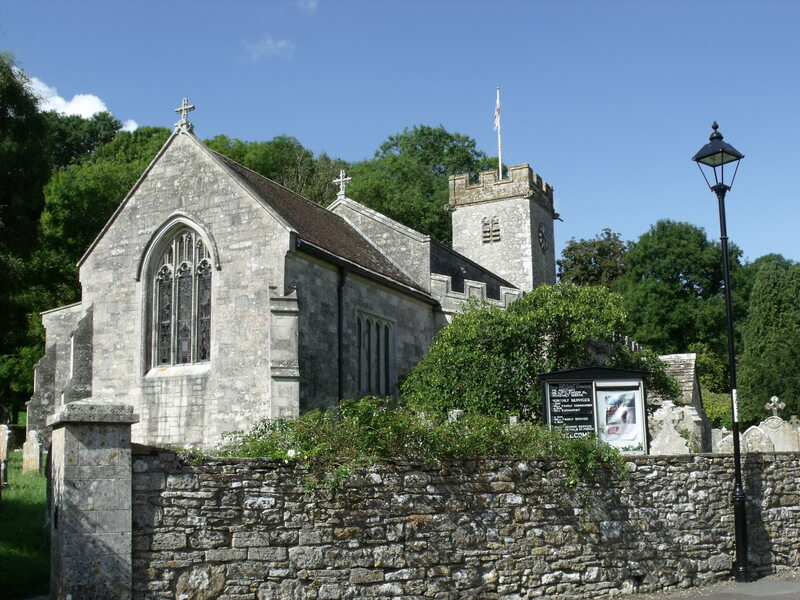 Upwey is famous for the Wishing Well – the source of the River Wey and there is a tea room. It attracts a lot of visitors. Up the same road a short way is St. Laurence’s church. 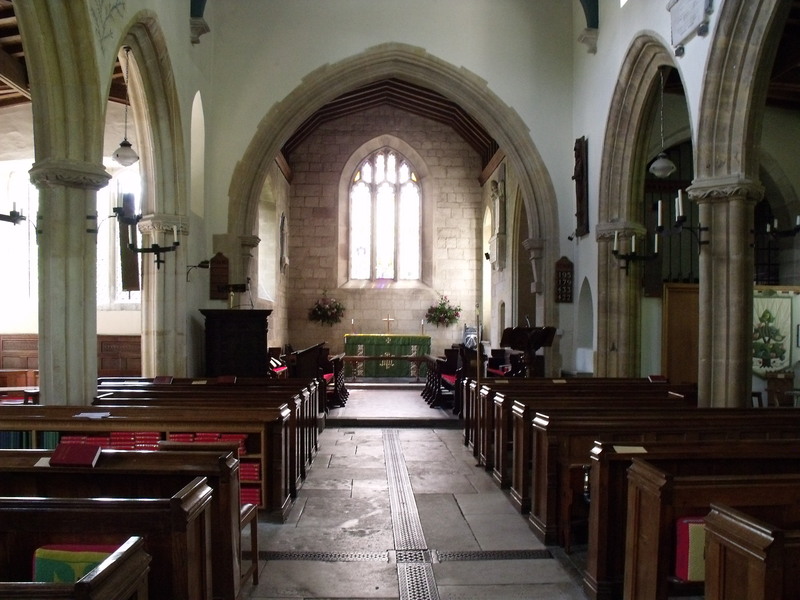 It is well signposted off the main road with some clear signs when visitors get to the church. 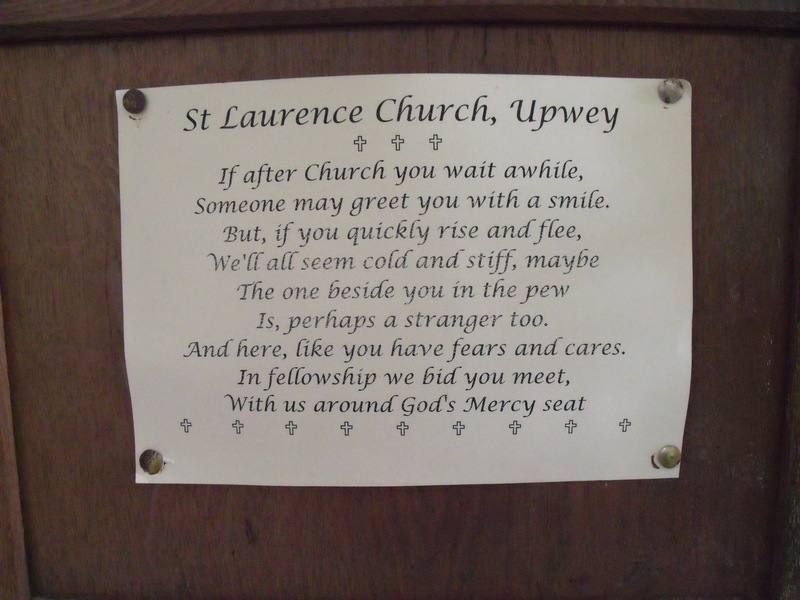 There is a good website for the church at http://theweytojesus.org.uk/st-laurence-upwey/st-laurence-upwey.php with good visitors information. There is a small car park up the lane as well as it can get busy here. Inside, there are some ‘bats’ with history on and cards and diaries for sale. Childrens work is displayed in a corner. 19 people had signed the visitors book in July. Folders detail a flower festival and the colourful hassocks in the church. A Bible was left open. 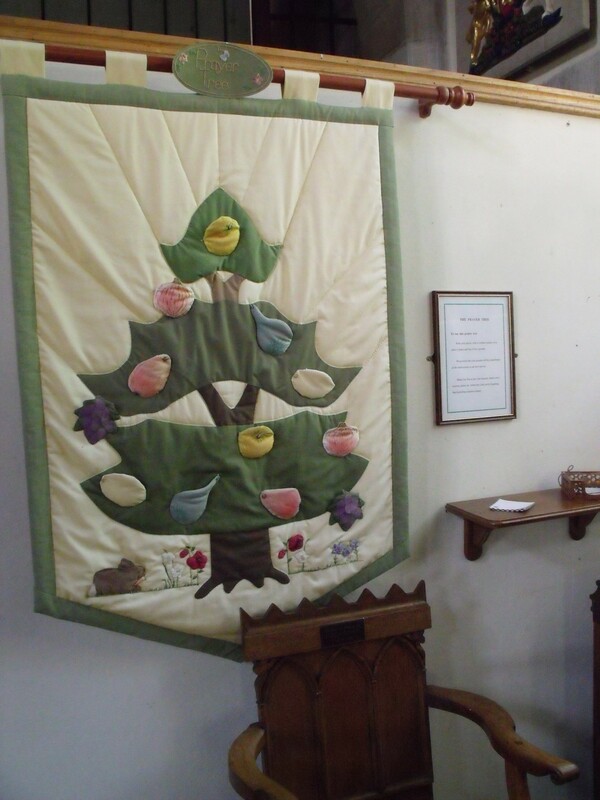 There are two unusual things here – one is a quilted prayer tree – a first for me! Prayers are written on slips of paper and then slipped into the ‘fruits’ – a good idea and worth copying! 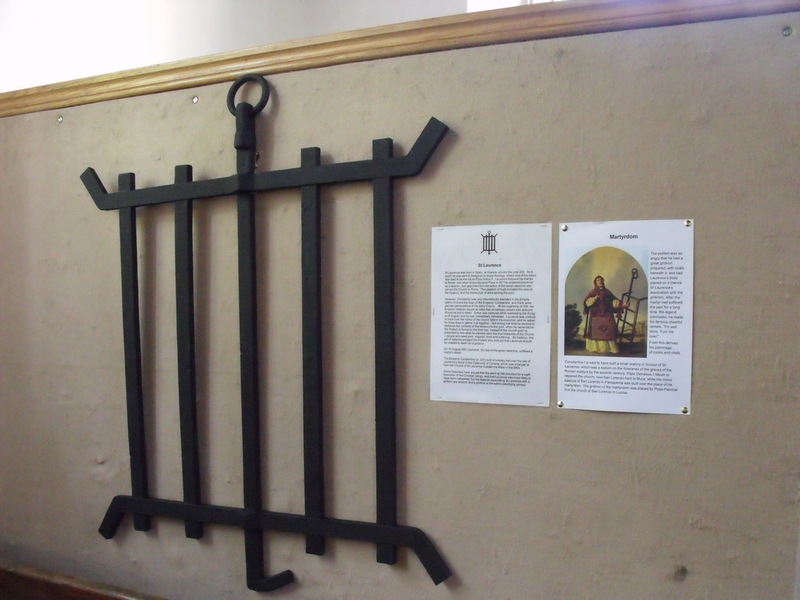 The other thing was the story of St. Laurence, complete with a wooden gridiron. 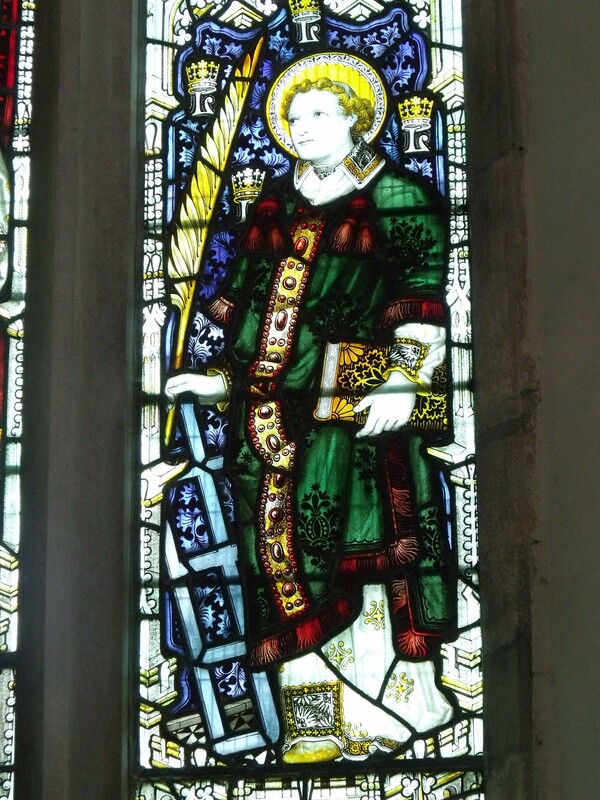 It is good to tell the story of our patron saints as we can’t assume that people will know who someone like St. Lawrence was – he was barbequed for his faith and described the poor as ‘the treasures of the Church’. 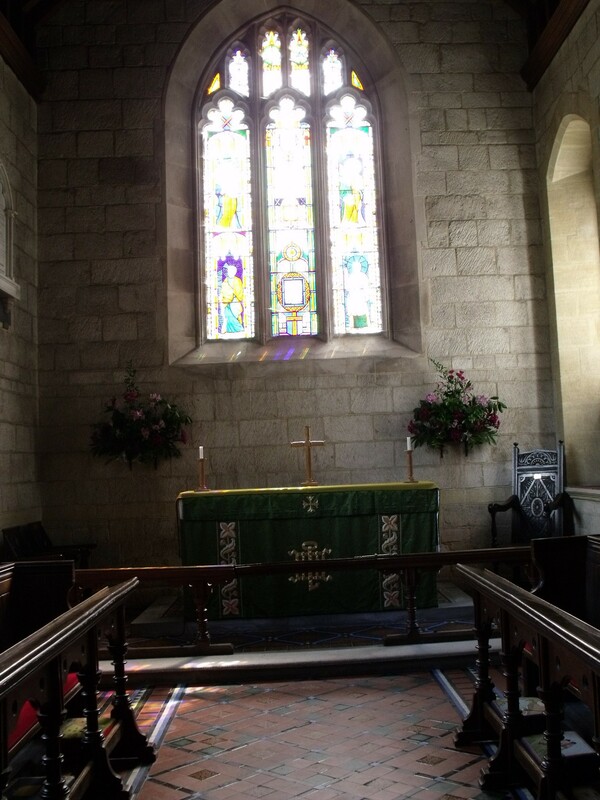 This is a homely, well cared for church that is well worth a visit. I rate it as good for this study.